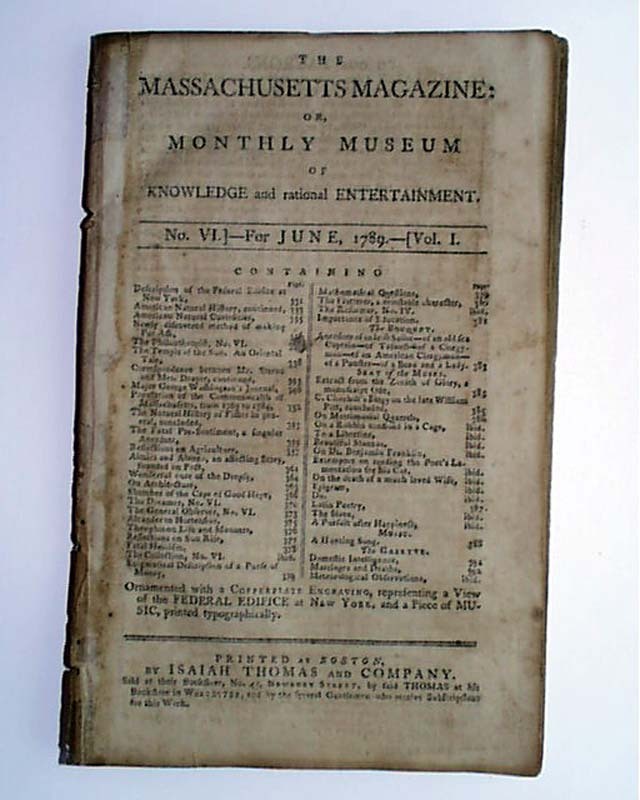 Item # 652290 THE MASSACHUSETTS MAGAZINE OR MONTHLY MUSEUM, Boston, June, 1789 This is the 6th issue of this uncommon magazine by famed publisher Isaiah Thomas. When it comes to noteworthy content, it is hard to know where to begin. 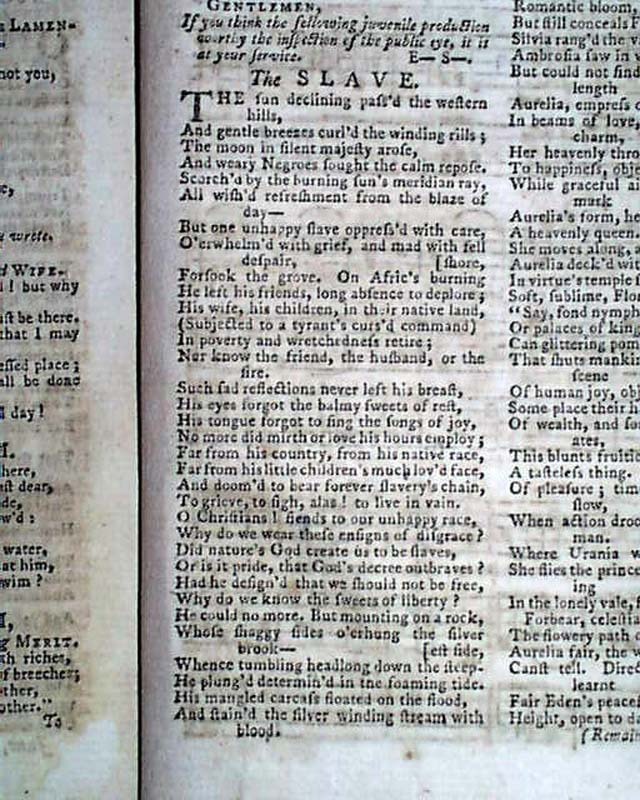 Starting from the back is the poem, "The Slave," (author anonymous) which is a thought-provoking anti-slavery poem printed in the slave-state of Maryland. 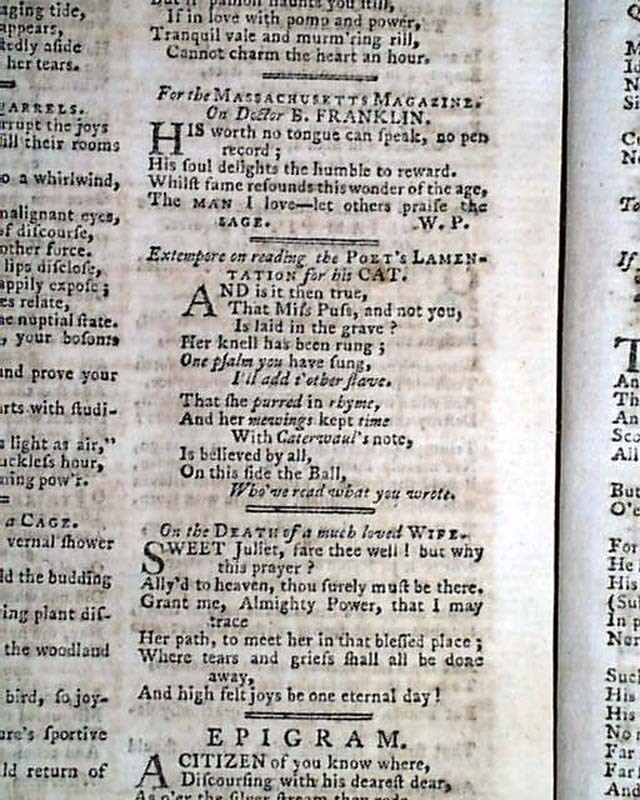 Also interesting is the editor's introduction to the poem. Near the back among many poems is one titled: "On Doctor B. Franklin". 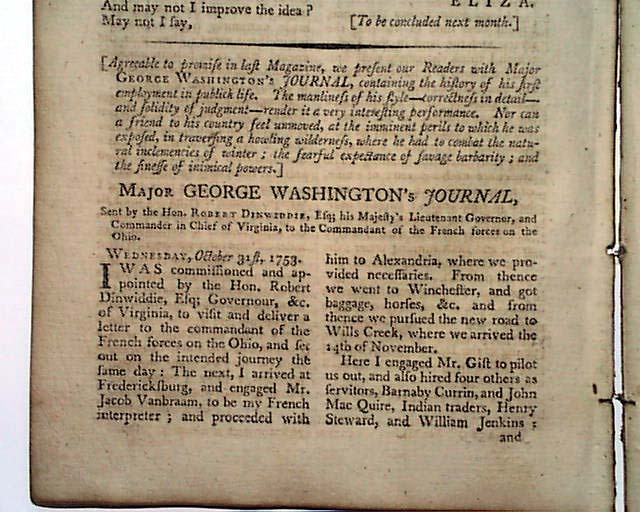 The first article in this issue is over 1 1/2 pgs. 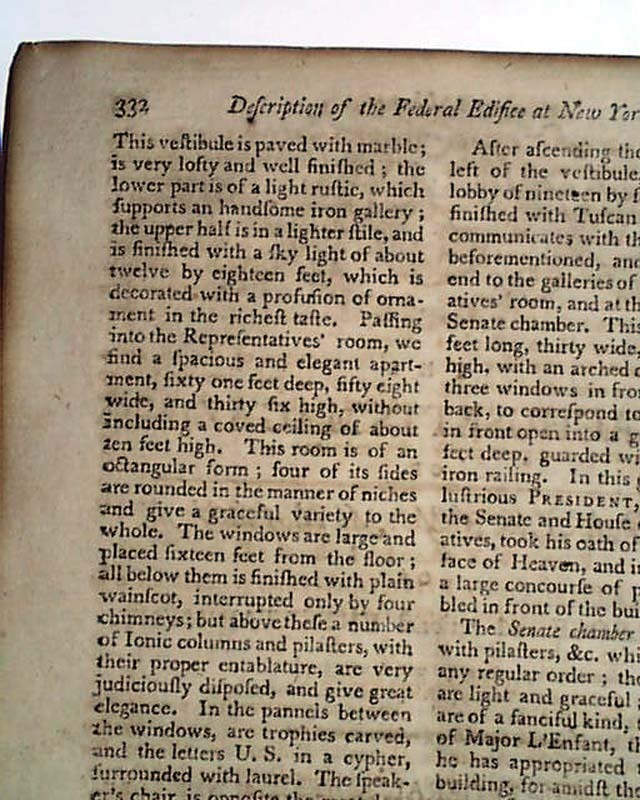 titled "Description of the Federal Edifice at New York" and begins: "The citizens of New York, desirous of testifying their attachment to the new national government, & of making their city the place of the permanent residence of the Federal Legislature, have enlarged & repaired their city Hall & made it a convenient & elegant structure worthy of the respectable body for whose use it is designed..." and it goes on to describe this important building (see photos for portions). 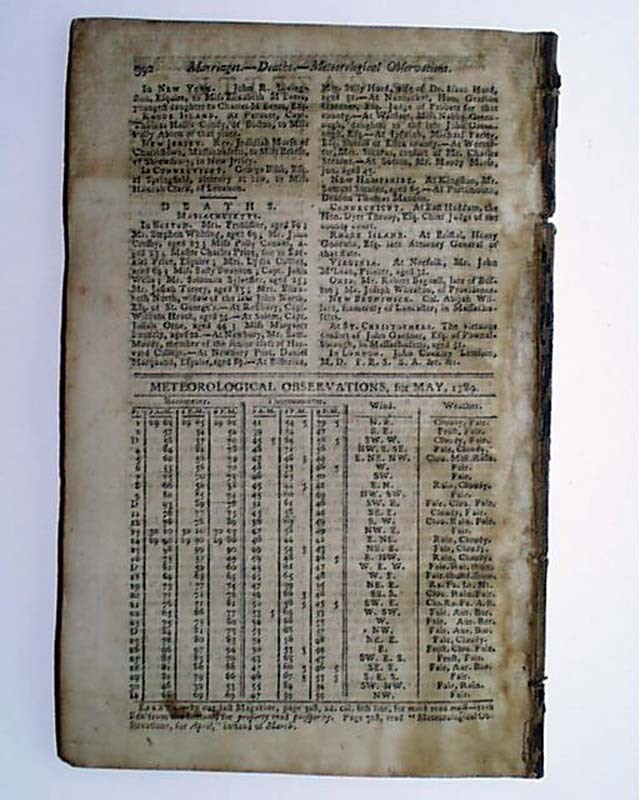 Obviously their efforts were to little avail as the capital would soon more to Phila. 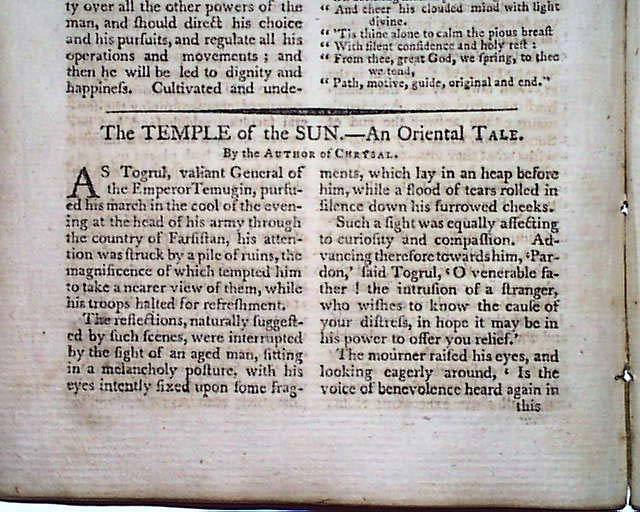 as a temporary location while Washington, D.C. was being constructed. Note: this issue does not have the plate called for. 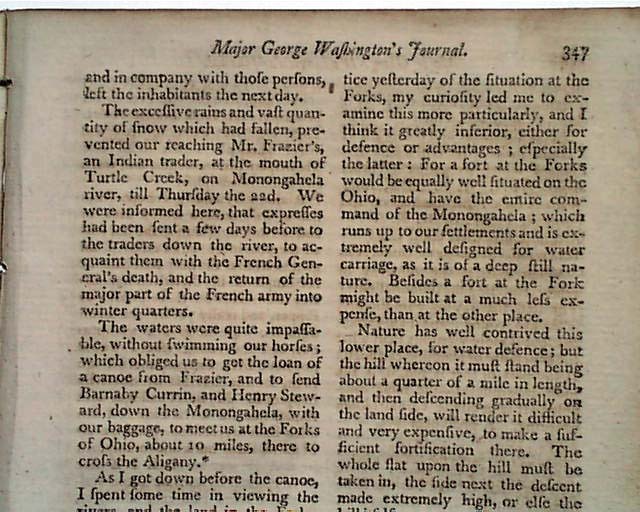 Among the other articles in this issue as noted on the title/index page are: "American Natural Curiosities," "Major Washington's Journal," which is over 5 pages on his efforts during the French & Indian War (see for portions), a fullpg. 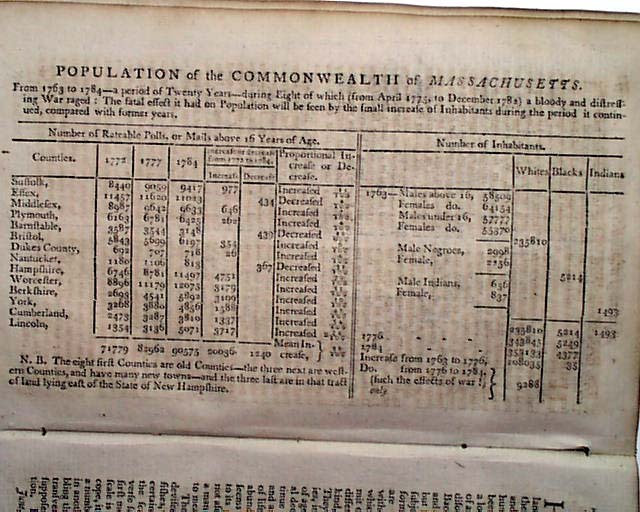 chart of the: "Population of the Commonwealth of Massachusetts," "Temple of the Sun," "Sketches of the Cape of Good Hope," and more. 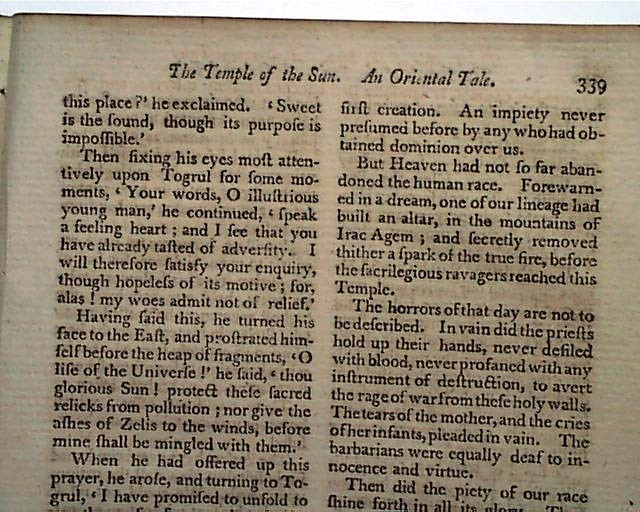 Three pgs. are taken up with music. 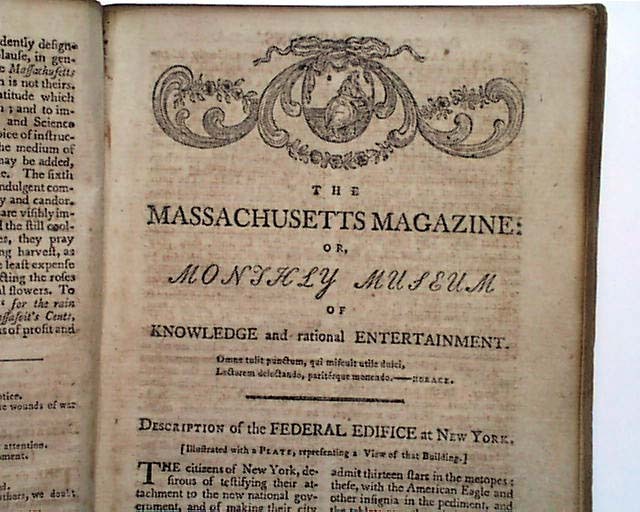 Complete in 64 pgs., measures 5 by 8 1/4 in., generally very nice. 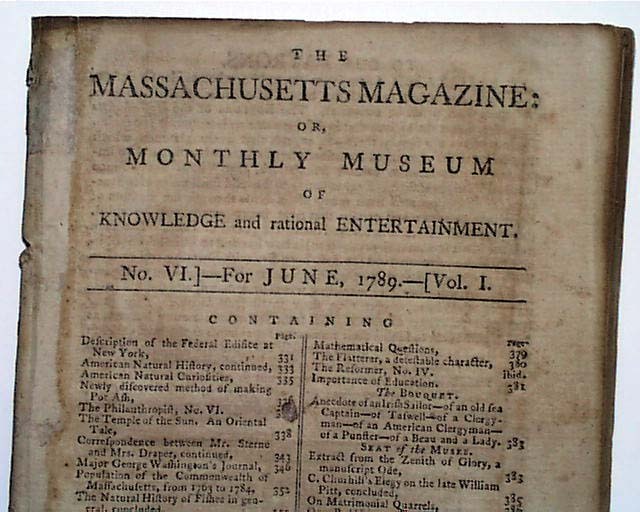 Eighteenth century American magazines are rarely offered.